The pictures show a traditional Chinese chess set. 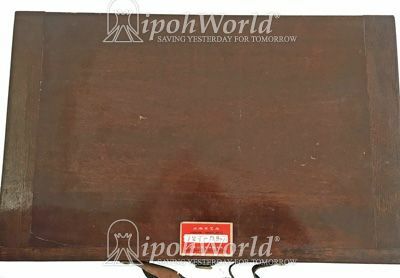 This chess set was made from a company in Shanghai, China .It is a wooden hinge box, which indicates that it can be open up like a briefcase. Inside the box is where the chess pieces are kept. Playing Chinese chess set may seems as easy as a piece of cake, but there are some basic rules that every player requires to acknowledge. Chinese chess is a strategy board game for two players. 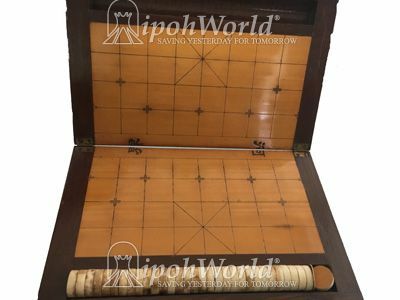 It is one of the most popular board games in China, and is in the same family as Western (or international) chess, chaturanga, shogi, Indian chess and janggi. Besides China and areas with significant ethnic Chinese communities, xiangqi (cờ tướng) is also a popular pastime in Vietnam.